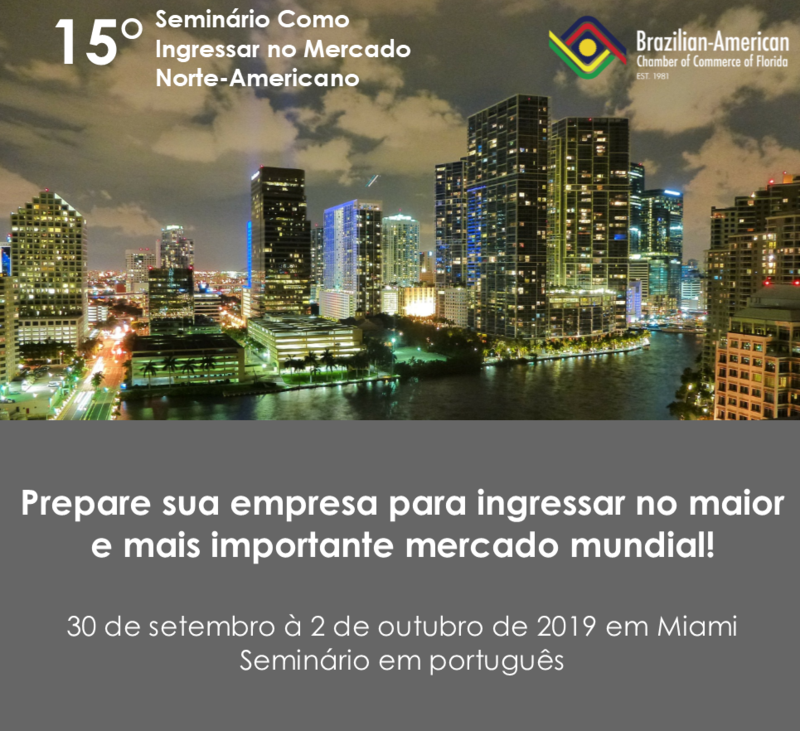 15º Seminário "Como Ingressar no Mercado Norte-Americano"
Name: 15º Seminário "Como Ingressar no Mercado Norte-Americano"
Inscreva-se hoje e parcele até a data do evento! Não perca esta oportunidade - Vagas limitadas! Clique aqui para ver o informativo completo do evento. Case: Bauducco - Erik Volavicius, Gerente de Marketing, Bauducco Foods Inc.
os pagamentos até a data do evento. Don't wait until the last minute to register - space is limited and fills up quickly. The BACCF requires an RSVP for all events. Reservations are accepted on a first-come first-served basis. Cancel by August 30, 2019 for a full refund (less processing fee). * Reservations received following August 30th may be subject to additional amounts to cover hotel costs. Uncanceled reservations and no-shows are paid in full. *All cancelations will be charged a $250.00 processing fee.